Here are a couple of Dry Rub Recipes for your BBQ pleasure. Dry Rubs are a great way of adding flavour to your meats whilst providing a crust to help seal in the delicious natural juices. Dry Rubs can be made into marinades by adding liquid as described below. Dry rubs should be liberally sprinkled all over the meat joint and thoroughly rubbed in by hand to form a complete crust. The meat should then be put in a polythene bag or wrapped in cling film and placed in the fridge for a couple of hours or preferably overnight. It is best to make up dry rubs from whole spices (they will have a fuller taste) and to store them in an air-tight container for a maximum of one month to ensure the best flavour (though they will keep much longer). Lightly roast the cumin, coriander and peppercorns in a frying pan and leave to cool, add the celery seeds and grind with mortar and pestle. Combine with all the remaining ingredients and store in an airtight jar out of direct sunlight. Combine all the ingredients and process vey briefly in a coffee grinder or similar until thoroughly mixed but not powdery. Store in an air-tight continer out of direct sunlight. Put 3 tbsp dry rub into a saucepan add a small tin of tomato paste, 3 tbsp Cider or Wine Vinegar and 1 tablespoon Honey. Heat slowly until all the ingredients are thoroughly mixed and leave to cool before using. Marinade meats for a minimum of two hours in the fridge or preferably overnight. Wash all the vegetables as necessary (wipe the mushrooms with a clean damp cloth or soft brush to avoid spoiling the flavour). Cut the Aubergine and Courgettes into 1” chunks. Cut the Onion and Peppers into coarse chunks. Leave the mushrooms whole or slice into two dependent on size. Skin the Garlic Cloves and leave them whole (use as many as you like). Put all the vegetables onto a suitable BBQ grill topper (I use a non-stick BBQ Wok). Sprinkle over the herbs & drizzle over 2 Tbs Olive Oil. 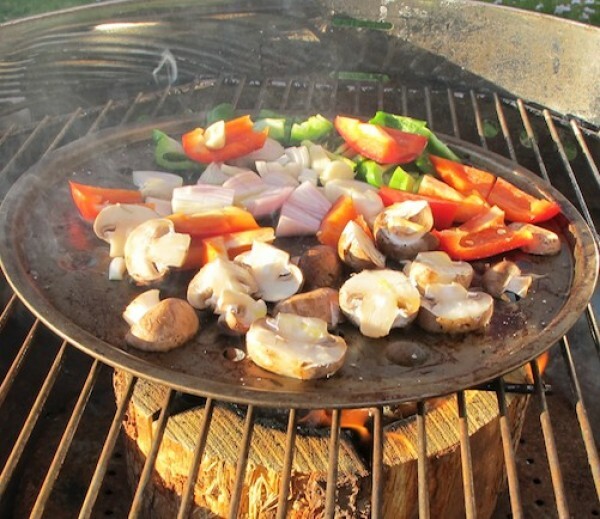 Place the vegetables (in the Wok or similar grill topper) onto the BBQ. Turn and mix the vegetables every 6 minutes and drizzle with 1 Tbs Olive Oil. 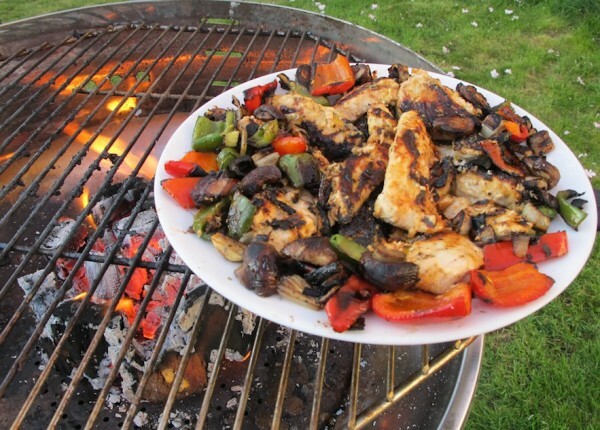 Dependent upon the heat of the BBQ the Vegetables should be ready in 30 mins. Keep the Vegetables warm on the back of the BBQ until you need them. Use chunks of Sweet Potatoes or Parsnips. Throw some Chicory leaves on for the last 6 minutes. Try whole trimmed Spring Onions (cook for 10 to 15 minutes). Add pieces of Ginger and Whole Chillies to give flavour (but omit the herbs). Corn-On-The-Cob - carefully pull back the husks but don't remove, cut off the silk and a very little of the end. Soak in cold water for about 25 minutes then coat with butter. 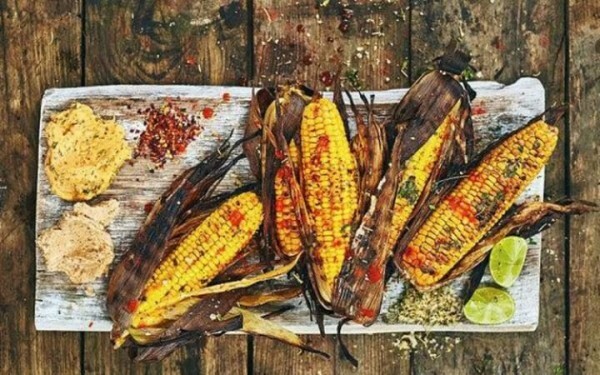 Fold the husks back and place directly on the BBQ grill (not in the Wok or similar) for approximately 15 minutes - turn every 5 minutes to avoid burning the leaves too badly.